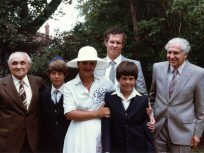 Lorraine, the daughter of European immigrants to Africa, was born in Bulawayo, Zimbabwe (then Rhodesia) where she grew up with her three siblings. For his part, Alan was born in Cape Town, South Africa where he grew up a single child, his only brother passing away at a young age. Alan first met Lorraine while on vacation in Bulawayo with some friends. The two dated while Alan was doing his accounting exams and Lorraine was attending teacher’s college. They married in Bulawayo after dating several years. 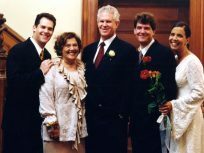 After their honeymoon, Alan and Lorraine began their new life in Cape Town, where they started their family. One incident in particular prompted the couple to seriously consider leaving South Africa: Their eldest son requested to attend a movie with his nanny, which would have been illegal under apartheid. Not seeing a future in South Africa, the family looked to immigrate. Initially, Lorraine wanted to make aliyah, but Alan felt the language-barrier would be an obstacle to finding work. Eventually, they made their way to Toronto where they attended a Shabbat dinner that persuaded them that Jewish life could flourish in Canada. 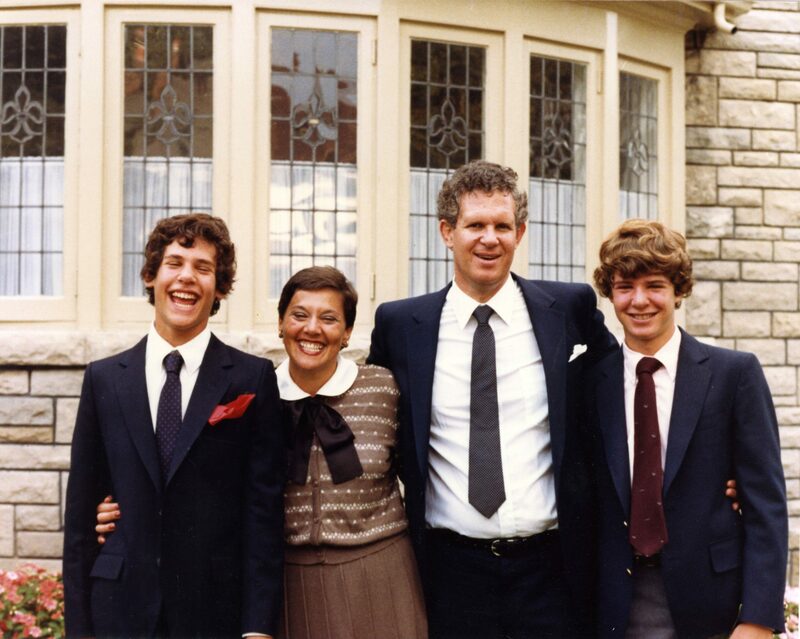 The family—Alan, Lorraine, and their two sons—arrived in Canada on August 5, 1976. 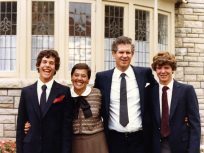 Unlike many subsequent Jewish South Africans who came to Toronto, the family chose to live downtown, enrolling their children in Jewish day school. 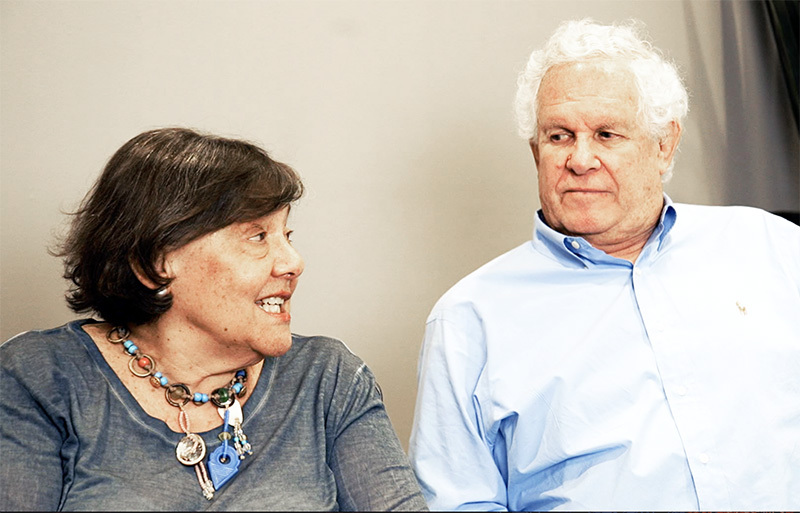 Both Alan and Lorraine took on leadership roles within Toronto’s Jewish community. Alan is a founder of the South African Jewish Association of Canada and was president of the UJA Federation of Toronto. 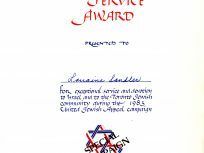 In turn, Lorraine was chair of both the Women’s Campaign and the Sarah and Chaim Neuberger Holocaust Education Centre. 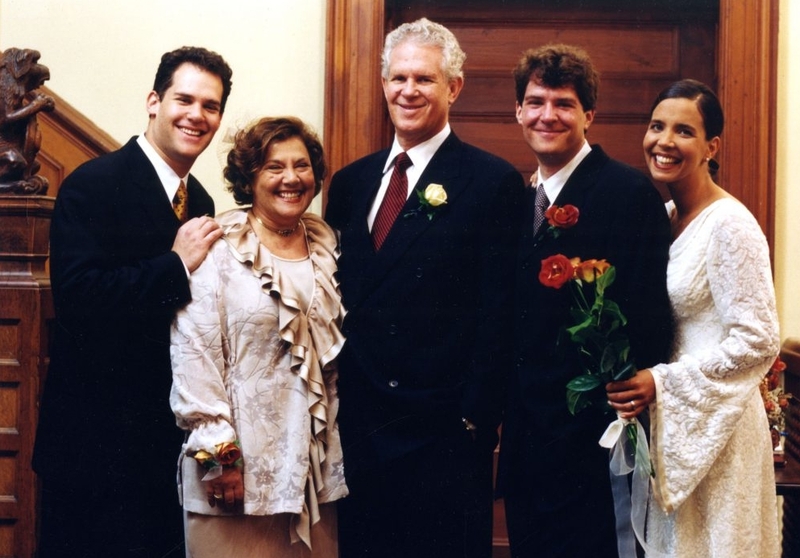 Today, their children are married and Alan and Lorraine are proud grandparents. Robert Sandler’s bar mitzvah, 99 Wembly Road, Toronto, Aug. 1979. Identified from left is: [unidentified], Robert, Lorraine, Ian, and [unidentified]. Alan is standing in the back. 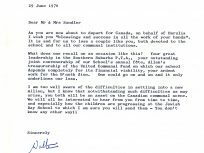 Ontario Jewish Archives, Blankenstein Family Heritage Centre, accession 2016-4/1. 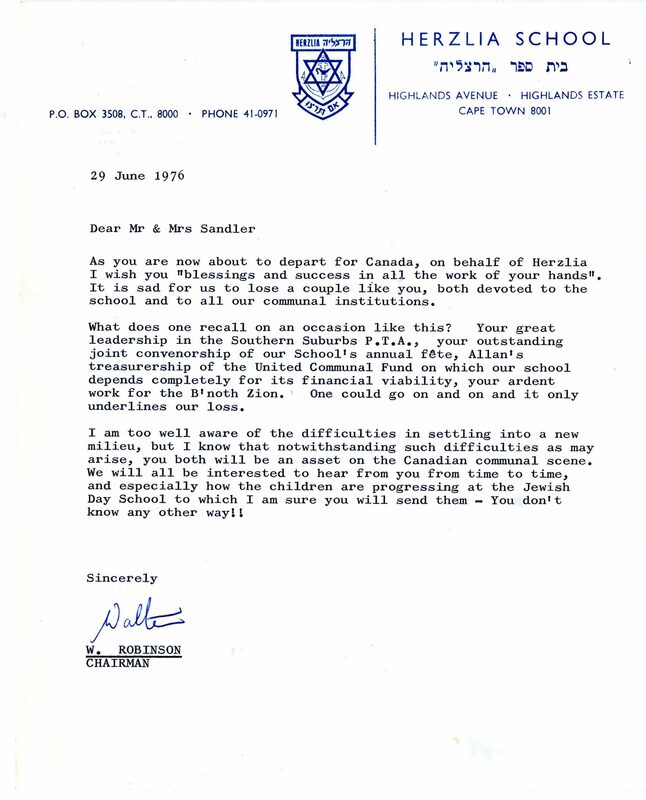 Letter from the chairman of Herzlia School to the Sandler’s prior to their departure for Canada, 29 June 1976. Ontario Jewish Archives, Blankenstein Family Heritage Centre, accession 2016-4/1. Ian Sandler’s bar mitzvah, 412 Rosemary Rd., Sept. 1981. Identified from left is: Ian, Lorraine, Alan and Robert. Ontario Jewish Archives, Blankenstein Family Heritage Centre, accession 2016-4/1. 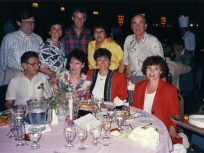 Lorraine Sandler (back row, second from the right) with other Toronto participants at the closing banquet for the Mission to Israel, 1990. 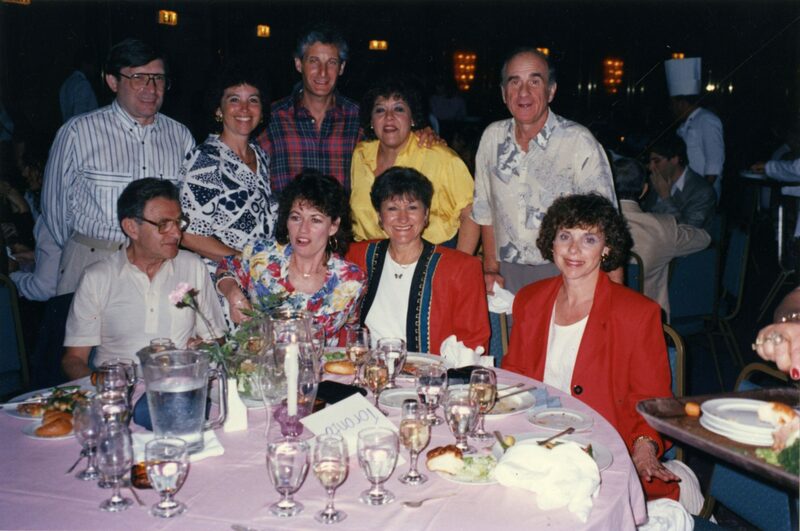 Lorraine co-chaired the Mission to Israel for UJA Federation of Greater Toronto. Ontario Jewish Archives, Blankenstein Family Heritage Centre, accession 2016-4/1. 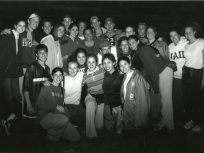 Lorraine Sandler (center) with students participating in the March of the Living, [ca. 1990]. Lorraine was leading the March and these students were all taught by Lorraine when they were three years old at Holy Blossom Temple. Ontario Jewish Archives, Blankenstein Family Heritage Centre, accession 2016-4/1. Robert Sandler’s marriage to Nyla Ahmad, Arts and Letters Club, ca. 2000. Identified from left is: Ian, Lorraine, Alan, Robert and Nyla. Ontario Jewish Archives, Blankenstein Family Heritage Centre, accession 2016-4/1. 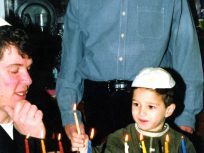 Hanukkah at the Sandler home, Toronto, 2003. 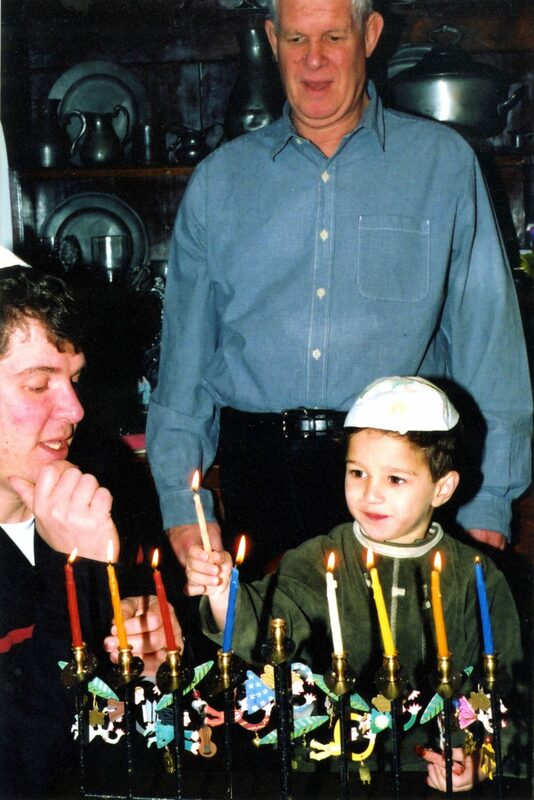 Grandson Noa is lighting the candles. Ontario Jewish Archives, Blankenstein Family Heritage Centre, accession 2016-4/1. 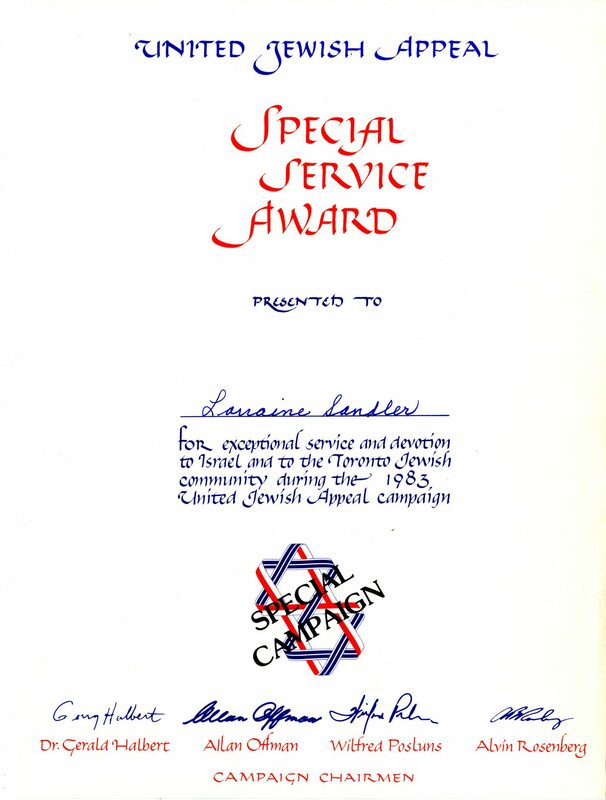 UJA Special Service Award presented to Lorraine Sandler, 1983. Ontario Jewish Archives, Blankenstein Family Heritage Centre, accession 2016-4/1.